The history of illustration across cultures and time periods is explored in this section, from early cave paintings to today's most advanced digital explorations. Throughout history, humankind has used narrative images to tell stories. The earliest recorded illustrations appear in the cave paintings created in Lascaux, France, ca.15,000 B.C. These images featured pictorial representations or logograms in succession, which detailed important events. In the ancient civilizations of Greece and Italy, art flourished to honor gods, humankind, and the cultures themselves. Illustrations of heroes and festivals, mythological tales and literature, funeral scenes and sporting events were drawn and incised onto ceremonial vessels. Illustrative wall paintings and floor mosaics were created to decorate the homes of the wealthy and powerful. In the Middle Ages, narrative pictorials appeared in illuminated manuscripts. Christian belief in the sanctity of religious writings was the primary reason for the preservation and copying of books. Monasteries were the centers of cultural, educational, and intellectual activities and studio spaces called “scriptoria” were provided for writing, copying, and illuminating books. Starting In the 14th century, artists of the Renaissance presented new music, literature, art, and publications that could be mass-produced and distributed due to the invention of a mechanical printing process by Johannes Gutenberg in 1452. The creation and distribution of woodcuts and engraved prints brought images, ideas, and entertainment to a wide audience and provided people outside the upper class the possibility of experiencing art. With the start of the Industrial Revolution in the mid-1700s, printing technology improved rapidly and more publications were distributed and seen. Illustration became more commonly encountered in daily life. English wood engraver and publisher Thomas Bewick established a studio for the creation and printing of commercial illustration that was used for many purposes, including works for children, educational materials for schools, natural history plates, and title-page art for books. Newspapers are increasingly embellished with engravings. The profession of illustration fully takes hold in the early 1800s. English and French caricaturists independently earned a living as full-time illustrators with sales of etched or engraved prints through small, gallery-like print shops and city street book stalls. This made illustration accessible and affordable. Books by Charles Dickens and other popular writers were illustrated throughout. Under the influence of the first generation of successful American narrative illustrators in the late-1800s led by Howard Pyle, dedicated young artists like Jessie Willcox Smith, Elizabeth Shippen Green, Frank E. Schoonover, N.C. Wyeth, and many others, saw that careers could be achieved, and a flood of talent entered the field. Publishers soon recognized that illustrations helped to sell magazine subscriptions and increase advertising revenue. Strong and consistent sales allowed more commissions of original art, and the business of illustration was fully established. With wider and more efficient distribution networks, illustrated newspapers, books and magazines were enjoyed by millions of people as affordable entertainment. News magazines, family magazines, women's magazines, children's magazines, literary and arts journals, satirical and political journals, humor magazines, and full-color newspaper comics brought the art of illustration into daily life. In fact, illustration was beginning to be seen by publishers as a necessity, and competition between publications for the limited number of fine illustrators led to increased budgets for art, instituting higher fees and greater recognition for the artists. The best illustrators became well-known figures and some, like Charles Dana Gibson and John Held, Jr., achieved celebrity status. Magazine covers and story illustrations by Howard Chandler Christy, James Montgomery Flagg, C. Coles Phillips, J. C. Leyendecker, and Norman Rockwell were seen by millions throughout America. Walt Disney established himself in the field by making popular cartoon shorts like Steamboat Willie (1928), the first sound cartoon, and went on to create full-length animated feature films - Snow White began production in 1934 (released in 1937), and Pinocchio in 1936 (released in 1940). The magazine publishing industry grew rapidly in the 1950s after a long lull through the Great Depression and the World War II years. The Saturday Evening Post and Look were the last remaining general interest magazines that continued to publish articles of current events, short fiction,and features about family life, the arts and entertainment. Women's magazines of the era, including Ladies' Home Journal, Cosmopolitan, Good Housekeeping, and others were powerhouse publications that were extensively illustrated. They paid high wages to top illustrators of the day, including Al Parker, Jon Whitcomb, Austin Briggs, Coby Whitmore, Joe De Mers, Bernie D’Andrea,and Lorraine Fox, among many others. In the 20th century, many who graduated from television cartoons and Walt Disney features of the 1990s—like Beauty and the Beast, Aladdin, and The Lion King—observed the evoluation of animated films like Toy Story, Shrek, and Finding Nemo that boasted innovative digital production. The gaming industry has also evolved significantly, and technologically advanced video games like Final Fantasy were ripe for translation into film. The publishers of Marvel comics entered into the movie business full-steam with both live-action and animated features. The relationship between the gaming industry, the comics industry and the film industry became more closely connected and illustrators played an important role in many aspects of production, helping to visualize otherwise unimaginable worlds. Walt Reed dedicated much of his life to the advancement of scholarship relating to American illustration, heightening awareness of an influential but understudied art form that may never have gained recognition if not for his foresight and passion. Through Walt’s generous encouragement, other fortunate individuals have been able to forge careers as curators and historians, or as enthusiastic collectors of the art of illustration. His writings, which reflect his vast knowledge about the history of illustration and individual American illustrators, have established a significant base of information, spurring widespread appreciation and understanding. 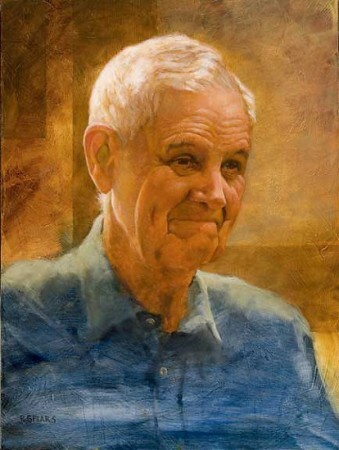 His work has been particularly inspirational for all of us at the Norman Rockwell Museum and beyond, who have benefited from his knowledge and expertise, and remember him as an exceptional gentleman and one of the kindest people on earth.